Whitewashed walls lined with paintings and ceramic works atop an ash brown floor dominate the interior of the Nerman Museum. The museum, which opened in October of 2007, is home to over 1,200 different works of art from international, national and regional artists. This collection extends to not just what’s on view in the museum, but also scattered out across campus. Bruce Hartman, curator of photography, Nerman Museum, said the idea for an art museum on campus was conceived awhile back, but lacked the necessary funds to construct. He said none of the art the Nerman buys is purchased with taxpayer dollars. Most of the art the museum acquires is through private donations. Jacob Banholzer, lead museum guard, Nerman Museum, said on an average day the museum typically has between 200 and 300 visitors, with events that are attended by more than 1,000 people. Banholzer has been employed at the museum for over six years and said most people like to spend their time looking at the “Some/One” sculpture by Korean artist Do Ho Suh. Banholzer also added there have not been issues with visitors vandalizing the art during his time as a museum guard. 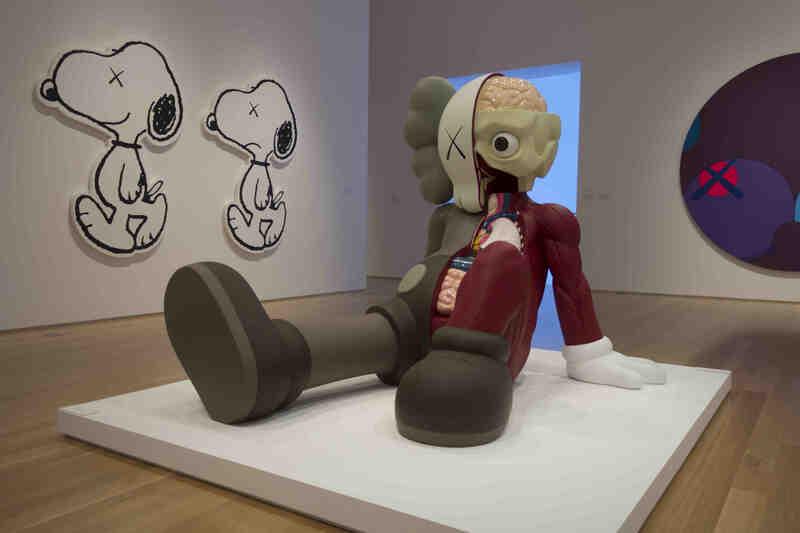 He said most people are “very courteous” and “respect the museum’s policies.” In addition to “Some/One,” the Nerman also features sculptures and paintings by KAWS (Brian Donnelly) and three interactive abstract compositions by Dylan Mortimer. Hartman said they look for work that hasn’t previously been shown in the region when it comes to deciding what the Nerman chooses to display He said the museum tries to exhibit a diversity of mediums which reinforce what’s taught in art classes on campus. The Nerman’s Collection Focus areas, which feature art installations throughout the campus, are currently being expanded. Most recently, the museum has placed seven major contemporary ceramic works in the new Culinary Center. In addition, new art will be installed on the first floor of GEB to replace the photographs taken down for conservation reasons. Installations of contemporary American Indian art will be featured on the second and third floors of the Regnier Center. Juan Castro, student, said he enjoys art because it’s an expression of what people think. He said he thought it was interesting how artists are able to express what they feel on canvas. Castro’s favorite piece in the Nerman is the “Some/One” sculpture by Do Ho Suh. Contact David Hurtado, features editor, at dhurtado@jccc.edu.